Seattle-headquartered Alaska Airlines announced March 15 that it is adding non-stop service to six new destinations from San Diego International Airport (SAN). The new flights includes daily service to Albuquerque Sunport Airport (ABQ) ; Austin-Bergstrom International Airport (AUS), Texas; Kansas City International Airport (KCI)i; Minneapolis/St. Paul (MSP); Omaha, Nebraska’s Eppley Field (OMA); and St. Louis (STL). 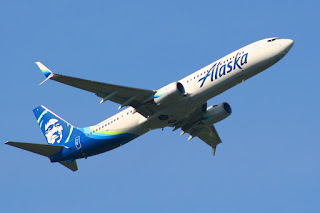 "Alaska Airlines has grown more than any other carrier in San Diego over the last five years, with the addition of 18 nonstop destinations and nearly twice as many departing seats," John Kirby, Alaska’ VP of capacity planning, said in a statement announcing the expanded service. Flights to the new destinations will be stair-stepped into service with flights to and from OMA and AUS starting in late August. Flights to and from ABQ will begin in mid-October while flights to and from MSP will commence in mid-November. Finally, flights to KCI and STL will start in mid-December. Aug. 27, SAN-OMA, departing 8:50 a.m.; arriving 2:25 p.m.
Aug. 27 OMA-SAN, departing 3:05 p.m.; arriving 5:05 p.m.
Aug. 27 SAN-AUS, departing 6:55 p.m.; arriving 11:35 p.m.
Aug. 28 AUS-SAN, departing 8:30 a.m.; arriving 9:30 a.m.
Oct. 18 SAN-ABQ, departing 4:35 p.m.; arriving 7:15 p.m.
Oct. 18 ABQ-SAN, departing 2:55 p.m.; arriving 3:53 p.m.
Nov. 18 SAN-MSP, departing 1:50 p.m.; arriving 7:50 p.m.
Nov. 18 MSP-SAN, departing 12:50 p.m.; arriving 3:20 p.m.
Dec. 15 SAN-KCI, departing 6:40 p.m.; arriving 11:55 p.m.
Dec. 15 KCI-SAN, departing 6:30 a.m.; arriving 7:50 a.m.
Dec. 15 SAN-STL, departing 8:30 a.m.; arriving 2:10 p.m.
Dec. 15 STL-SAN, departing 3:55 p.m.; arriving 6 p.m. The new routes will be served by 76-seat Embraer E175 jets, which feature 12 seats in first class, 12 seats in premium class and 52 seats in the main cabin. While the airline says, “[T]he E175 boasts cabin dimensions on par with a narrow-body jet,” seating space actually exceeds what is available across much of Alaska’s fleet. According to SeatGuru.com, First Class seats are 21 inches wide with 36 inches of pitch, Premium Economy seats are 18.25 inches wide with 36 inches of pitch and standard economy seats are 18.25 inches wide with 32 inches of pitch. While First Class seats offer passengers the same amount of space as many of the carriers Boeing (NYSE:BA) 737s, standard and Premium Economy seats, where available, are only 17 inches wide. Standard economy seat offer pitch ranging from 31 to 34 inches of pitch and Premium Economy pitch of up to 36 inched. “Pitch” is the distance from the back of one seat to the back of the seat in front of it and is often seen as an indication of the amount of available legroom. Amenities on-board the E175s include Wi-Fi Internet access, and Alaska Beyond Entertainment, which includes free and premium entertainment direct to customer devices, and power outlets in the first class cabin. News of the new routes to and from San Diego comes on the heels of Alaska's announcement that it is adding 13 nonstop routes from the Bay Area – the single largest announcement in company history. The new flights build on previously announced routes, which include daily nonstop flights between San Diego and Baltimore-Washington International Airport (BWI) starting March 15, three-times-daily service between San Diego and Sacramento (SMF) starting March 16, and the resumption of service between San Diego and Mexico City. Flight schedules for Mexico City will be announced in the coming months, pending government approval. Tickets for the new routes are available for purchase at through Alaska’s web site or by calling 1-800-ALASKAAIR (800-252-7522).